It may be a digital world but just like vinyl records, other analog artifacts from our recent past refuse to go away completely. Take for example, the humble typewriter. That clackity-clack racket of little metal keys hitting paper has been heard since at least the 19th century with the early Remington models. Unless you had your own printing press and could set your own type, typewriters (some of them very stylish) were the way to create professional correspondence and records, book manuscripts and all sorts of official documents for more than a century. But as computers and word-processing software began to creep into the market in the 1980s and beyond, typewriters began to fade from use and memory. For some people, anyway. The Kremlin has reportedly resumed composing top-secret documents on typewriters to avoid computer leaks. (The Times of London, while not reissuing IBM Selectrics to its staff, did pipe the sound of typewriters clacking into its newsroom a few weeks ago to see if it helped productivity.) Thanks to other holdouts — like famous authors still clinging to their Olivettis, hipsters soaking in the retro cool or people who just want to write slow — typewriters are still with us. If you want to buy a typewriter, the same shops that repair the machines often sell reconditioned models, so ask around. You can also find machines for sale at specialty shows, on eBay or even through high-end collectors’ markets. Want to write on a typewriter for creative reasons — but are worried about eventually converting your pages to digital form? Make sure you have a good dark ribbon in the machine, a scanner and OCR software, and you can convert your typed pages onto editable text document later in your writing process. Don’t want to invest in a dedicated OCR program? If you have the full Adobe Acrobat software, you can use that software’s built-in OCR function to convert scanned PDFs to text. Some free OCR software can be found around the Web as well. Thanks to steampunk, typewriters fused with computer screens have become a distinct look. 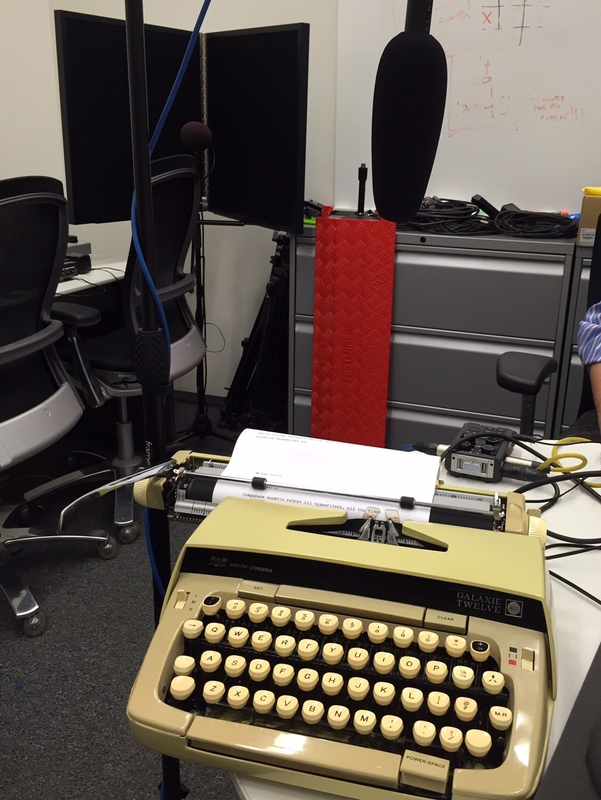 In fact, a hacker-engineer named Jack Zylkin has started a company called USB Typewriter. 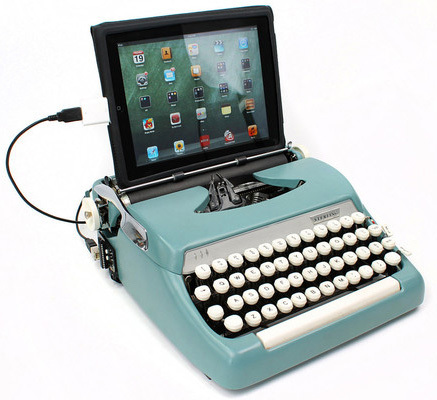 Here, you can buy a conversion kit to turn an old typewriter into a USB keyboard for your Mac, PC or iPad. The site has videos and instructions, but if you’re not handy with a soldering iron, you can also buy a pre-made typewriter computer keyboard or iPad dock for about $700 or $800. And get this: The typewriter still works even after its USB conversion, so you can create a hardcopy while you word-process. But if all that’s too much real-world analog for you, just remember, there’s always an app for that, like the $2 TypeWriter for Android, which simulates old-school typing. 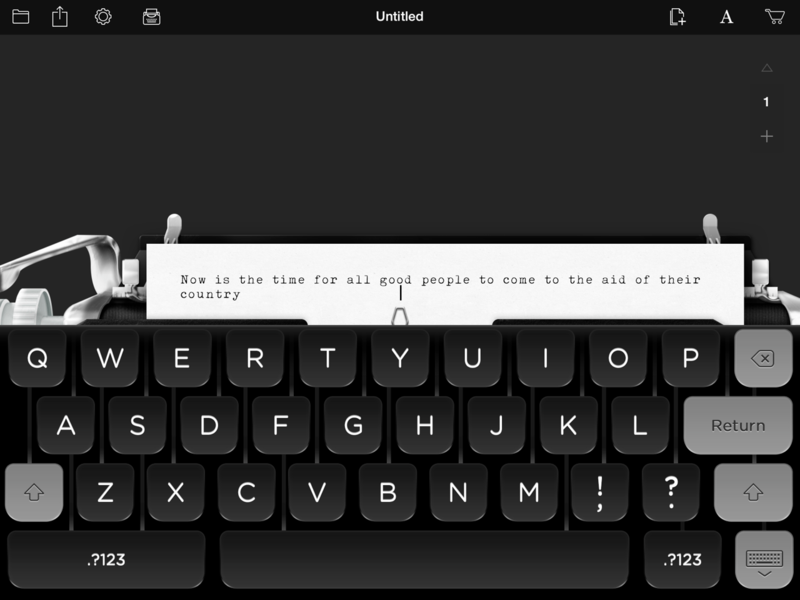 While plenty of other apps can do the typewriter simulation, a recent iPad app that was developed in part by actor Tom Hanks is one that does it nicely. The free Hanx Writer app (shown here) turns your iPad screen and keyboard into a virtual 1940s typewriter and also works as a word-processor for your tablet correspondence. Just don’t forget what you’re typing on and slap on the Wite-Out.